It’s the 4th Annual Where My Peeps At Scavenger Hunt. We will have two race categories. Option 1 is the Downtown race. Downtown racers will try to find as many Peeps as possible in one hour that are stenciled around downtown. 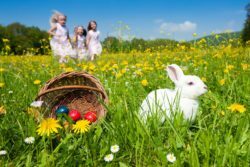 Be back by 10am to turn in score sheets and participate in the Easter Egg Hunt. Option 2 is the Farther Afield race. This is for teams who want to explore a little more and will run or walk approximately 6 miles deciphering clues to find Peeps hidden all over town. Must return by 11am to turn in score sheets. 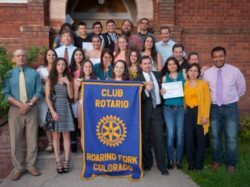 The Festival of the Americas is organized by Roaring Fork Rotary aka “Club Rotario” and serves as a fundraiser for educational projects throughout the area. The Festival is a celebration of the richness of culture and traditions of the American continents. 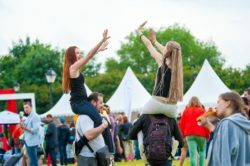 The day will include cultural, artistic, and recreational activities for the whole family, plus live entertainment and a great variety of food styles representing the flavors of the Americas. "Cinco de Mayo" Este Viernes - Sopris Park Carbondale - Música, comida, cantina, area de niños y much más....Celebration featuring Live music, food, kid's area, vendors and much more - Raising funds for Club Rotario's CMC scholarship fund. 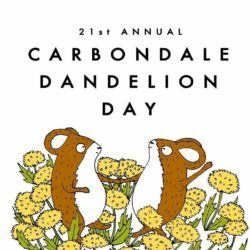 This year is Carbondale's 20th annual Dandelion Day! Where we come together as a community for a day of Spring Celebration. 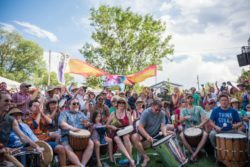 We will have local non-profits, artists, farmers, food vendors, brewers and musicians to be found in Sopris Park. All in honor of our beloved Town Flower: The Dandelion. Bring your family and friends and come join us at 10am, KDNK station (2nd and Main) to kick off the Parade of Species! Together, dressed as animals (real and imagined), we will walk to Sopris Park. Come pick out a gift for Mom, get your face painted, connect with a non-profit, grab a local brew, meet your local farmers, get starters for your own garden, find local edible and medicinal products, and much, much more... See you there! The 40th Annual Mount Sopris Run off & 4 Mile Fair Run is happening again in 2018! Come and join us for this funky, fun and challenging 14 mile race. We will also have a super fast downhill 4 Mile Fair Run held the same day. Both races are held in conjunction with, and finish at, the Carbondale Mountain Fair. Registration is only $45 ($40 for in store registration & 4 Mile Fair Run). 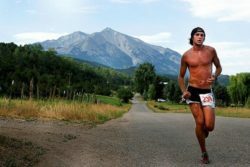 The race starts in Basalt (Emma School House) climbs 1500 feet up West Sopris Creek Road, then descends 1700 feet past the 4 mile start and into Carbondale, finishing in Sopris Park where Mountain Fair activities are just beginning. Bus service is available before the 4 Mile race (from Sopris Park) to get you to the start and after the 14 mile race to get you back to your car (if needed) at the start of that race. For more information call 970.704.0909. We are also looking for volunteers, if you or someone you know can help out please email Sean at sean.vanhorn2@gmail.com.